Complete details regarding the Samsung Galaxy A8s were leaked before the official launch of first smartphone with a hole in the display. A8s comes with a 6.39-inch Infinity display with FHD+ resolution and flaunts a 6.7mm hole on the left side. The innovation saves more pixels than standard notch display or even those with water drop option. The only odd factor here is the side placement of this hole, most probably done in order to keep video watching a pleasant experience. The renders for this design were available on the internet few days back, using a BOE-sourced display for the phone. 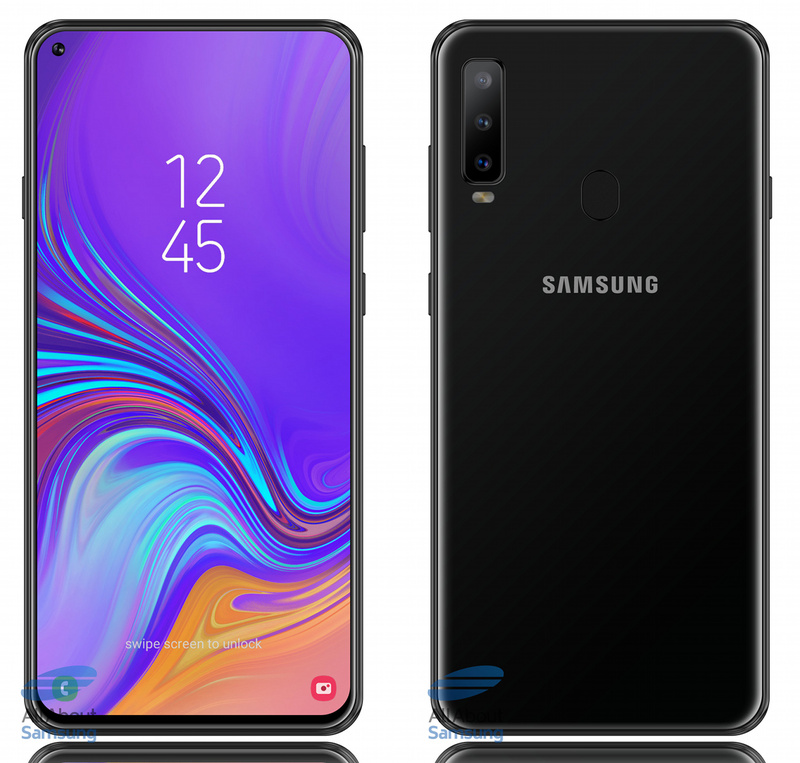 Samsung Galaxy A8s comes with a USB Type-C port and 3400 mAh battery. The use of Snapdragon 710 processor with 6GB of RAM and 128GB internal storage makes the phone even more helpful for everyday use. The LCD panel is the only unique feature here as most phones are available with such memory combinations for a much lower point. 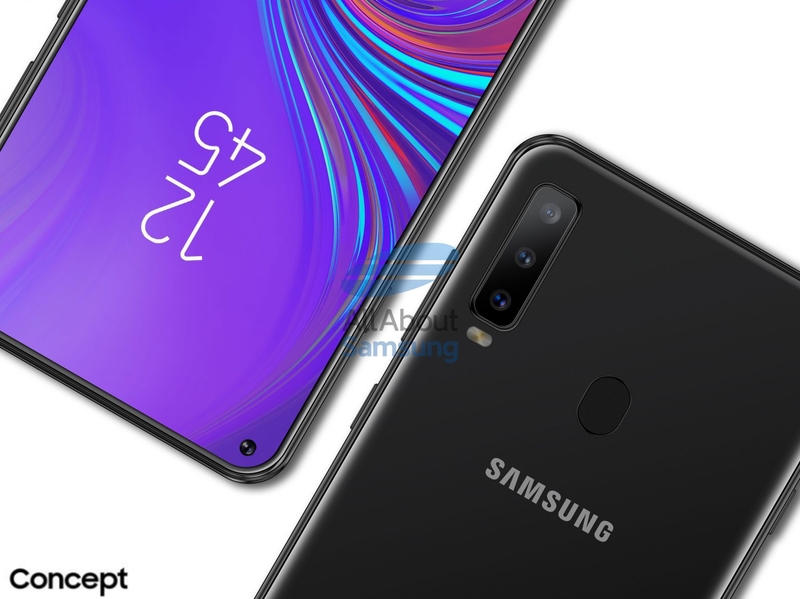 Samsung is using a triple rear camera setup with 24MP+5MP+10MP sensors for impressive shots. The setup is also seen on Galaxy A7. The hole in the display holds a 24MP camera with no front flash. That would have resulted in one more hole and thus, Samsung definitely saved the same for future. The given thickness for the phone is 7.38mm while no report was available for the number of shades coming for the mid-range device. 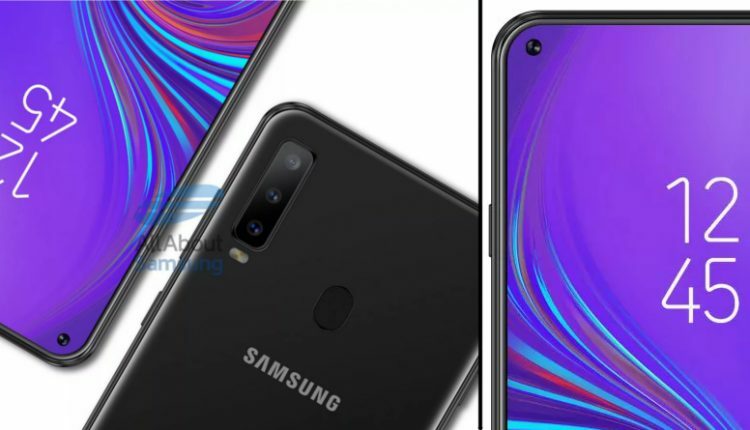 The rear of Samsung Galaxy A8s has vertical placement of three cameras in the corner and dual tone LED flash. The image leaked before the launch shows the phone in black shade. The current range of Samsung smartphones globally includes multiple Galaxy sub-variants. For India, the volume generators are available under the J and On series, mostly being rebranded versions of each other for online and offline sales.